Two of the most famous names in marketing – Jack Trout and Al Ries developed the concept of positioning back in the 1970s. Their business/marketing book, Positioning: The battle for your mind was written in the early 1970s and almost forty years later, is a well thumbed addition to the book shelves of respected marketing professionals around the world. The concept of Positioning also suggests the ‘position’ should be based on being first in a particular category. If another company is already first in the category, then the company should work to redefine itself in a new category to ensure it is first in that category. This was really important to Ries and Trout. In fact so important, that they felt it was more important to be first in the mind than first in the marketplace. In the mass markets of the 1970s and 1980s, positioning was defined by perceptions. To influence perceptions and maintain a position within the relevant minds, it was imperative that companies dictate the information consumers received. And, because of the power of mass media, this wasn’t an impossible task. Moreover, because most audiences were relatively passive, and they had little choice of products, well-researched messages were likely to register with targeted audiences. Furthermore, advertising agencies and in house marketing departments also embraced the concept of positioning because it gave them total control yet there was little opportunity for accountability. After all, it was relatively easy to show progress in awareness or top of mind, but first in the category was tough to measure. As a result, positioning was adopted by many companies and became a successful tool. In the face of this increased competition, many companies took the wheedling part at face value and started to manipulate information to control a hard fought for position that was threatened on many fronts. Soon fantastic claims were being made in advertising and other channels. One example is the tobacco industry that tried to convince consumers that tobacco wasn’t addictive. Ford made a similar attempt to persuade prospects that the Pinto did not have design issues. More recently there were some outrageous claims around the Enron scandal and certain financial institutions last year were wheedling furiously! Unsurprisingly, this has caused consumers to become more disillusioned and cynical and less likely to pay attention to claims made by advertisers. Here in Malaysia, 84% of those polled in a recent study by a daily newspaper said they didn’t believe what they read in advertisements. This despite the fact that many of the companies featured in those ads were attempting to position themselves in the minds of those very consumers. Because positioning relies on mass media, it has to appeal to as many people as possible. This may be alright in a single or homogeneous market but what happens when a market is segmented? 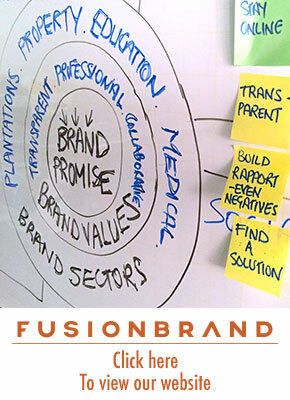 Furthermore, firms consider a positioning campaign to be the communication of a particular message to a mass audience. But what happens if that audience doesn’t listen or accept the message? The advertising agency will tell the company to do it again, perhaps after tweaking the creatives a bit. This is also known as repositioning. I haven’t read the book so I can’t comment but I have my doubts as to the effectiveness of repositioning. Don’t get me wrong, I do think that positioning is a tool that was, in its time and for many products, a very good tool. But I don’t think it has a role to play in today’s customer driven economy. There may be some exceptions such as in the destination branding sector and some soft drinks may benefit but these are the exceptions not the rule. I know it is hard to let go and there will be a lot of resistance to what I have written. After all, so much effort by so many people has gone into learning about positioning. But the world has changed. More importantly, consumers have changed. And marketers should acknowledge this and change with it. Communications and the way consumers live have changed a lot over the last 40 years. Isn’t it time Branding and the way brands are built and the tools used to build those brands changed too? Product differentiation, or brand positioning for that matter, does not a competitive advantage make, in principle, at least not today. I have the book repositioning, and intend to read it, I was a big fan of the first book, so lets see. Thanks for the article and opportunity to comment. Positioning doesn’t take into account the way consumers lives have changed over the past 40 years. One thought, a classis market research segment is 18 – 25 year olds. Yet how many groups for 18 – 25 year olds are there on Facebook? And positioning makes far too many assumptions that don’t stack up in today’s world. Essentially it believes that all of us have a space in our minds that is waiting for a product to be positioned in! 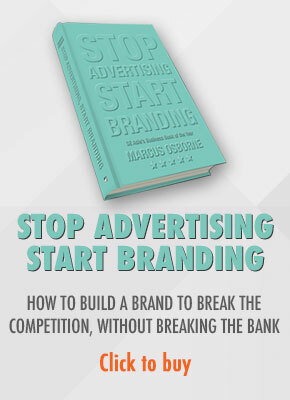 I hope you’ll share with us your thoughts on the book and its relevance to the business of branding today.